Do you want to grow sales with email marketing? According to Monetate, mail conversion outperforms both social and organic search traffic and it is even close to twice as high as organic search. With the right eCommerce email marketing strategy, you can build an engaging relationship with your customers and grow sales. In this article, we’ll show you some eCommerce email marketing best practices you should follow. Your customers are being bombarded with promotional emails every day. In fact, an average email subscriber gets 416 commercial emails per month. If you want your emails to get noticed and clicked, you’ll need to make your emails stand out. 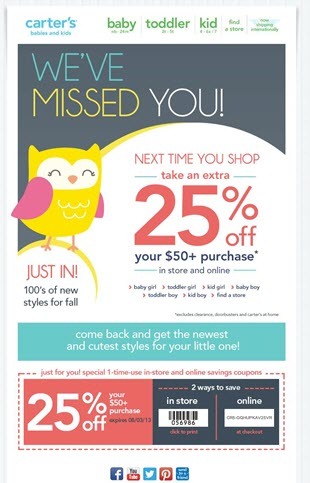 Email personalization is one of the most important eCommerce email marketing best practices. It can mean the difference between emails your leads notice and click, and emails they skip right over. It is impossible to manually personalize all emails you send out to your customers. Automation is the secret sauce to email personalization. Classify your leads into distinct groups based on your customers’ specific characteristic, like onsite behavior, interests, email preferences, etc. You can then send out emails addressing that characteristic. For example, you can segment your leads based on your customers’ brand preferences. When a new item is available to purchase under that brand, you can notify your customers’ by sending an email. Set behavioral trigger emails tailored to different onsite customer actions. The automated behavioral trigger emails are proven to drive in 152% higher open rates, compared with traditional emails. You can set triggers for transactional emails, like receipt, shipping confirmation and more. One of the easy ways to generate more revenue from your store is to entice your customers to spend more money when they make a purchase– or in other words, increase the average order value (AOV). The average order value is a metric that tells you the average value of ecommerce transactions in your online store. 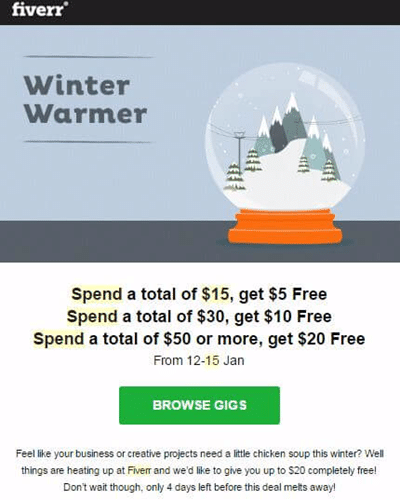 For example, Fiverr increases the average order value on their website by offering a special discount to their selected customers for a minimum spend threshold. To increase the AOV, you can segment your customers based on the spending habit and craft a series of emails to encourage spend more on your store. With no doubt, shopping cart abandonment is the single largest obstacle for your eCommerce retailers to overcome. 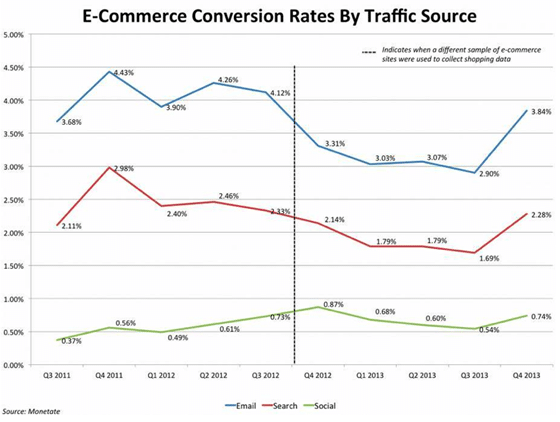 Baymard Institute pegs the average online shopping cart abandonment rate at 69.23%. Before you can track shopping cart abandonment of your store, you’ll have to enable Enhanced eCommerce tracking. Notifying your customers about the abandoned cart is a great way to persuade them to complete the checkout. 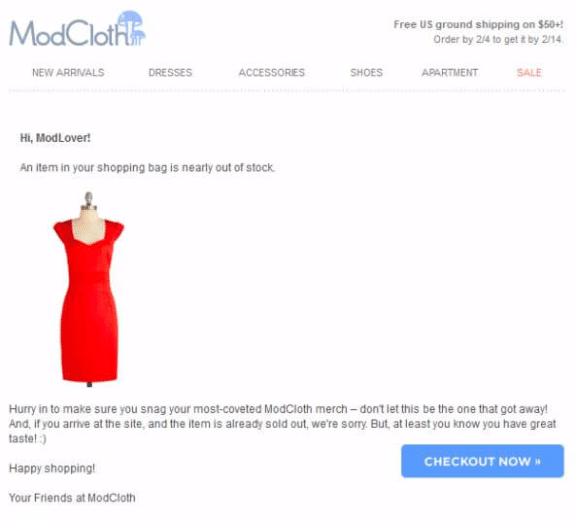 ModCloth sends a beautiful email to customers who have added a product to cart but then abandoned it. They also use a persuasive tactic to complete the checkout by telling them that the item they’ve added to the cart is nearly out of stock. Abandoned cart emails are proven to recover 15% of revenue that would have otherwise lost. 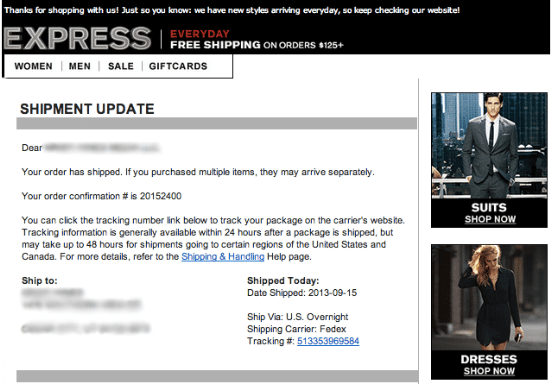 Many eCommerce merchants follow-ups 3-5 days after an abandoned cart. Creating a loyalty program is one of the best ways to encourage repeat purchases and increase customer loyalty to your brand. To boost customer loyalty, rather than focusing solely on boosting sales, you might encourage every onsite engagement. 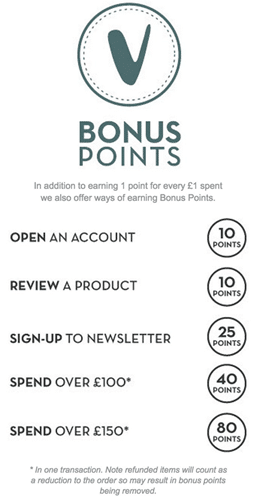 Van-Dal Shoes, for instance, encourage onsite engagement by rewarding bonus points for every customer action, including product review, newsletter signup and every pound they spend. 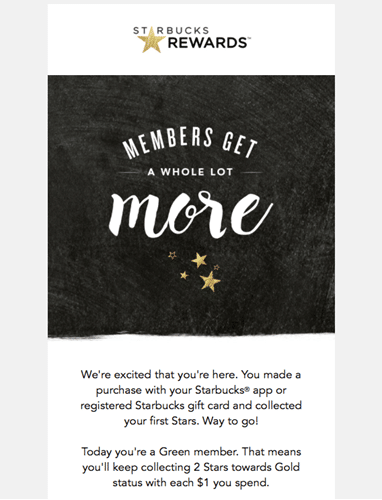 If you have an eCommerce loyalty program, you need to make it painfully easy for your customers to realize the value of it by sending a series of emails. You can start by sending a warm welcome email to your customers when they join the program. For best results, it’s vital to show them how easy it is to step forward in the program and what specific action they need to take for getting more rewards. It is easier to sell to your existing customers than to new ones. In fact, existing customers are 12 times more likely to make a purchase from your store. However, a study shows that only 32% of customers are likely to place a second order over the course of the first year as a customer. That means if you don’t have a retention strategy in place, chances are you’re losing repeated sales. Creating a win-back email campaign is a great tactic to re-engage your lapsed customers with your emails. On average, win-back emails have an open rate of 12%, according to a study conducted on 33 retailers. To entice inactive users to open your email, you may use emotionally charged subject lines, like “We miss you”. A win-back is not a one-time event. Instead, it’s in your best interest to create an automated series of emails to boost re-engagement with your emails. We hope this guide helped you learn some eCommerce email marketing best practices to boost sales. If you enjoyed this article, you may also read these eCommerce customer retention strategies. And don’t forget to follow us on Twitter and Facebook for more Google Analytics tutorials.